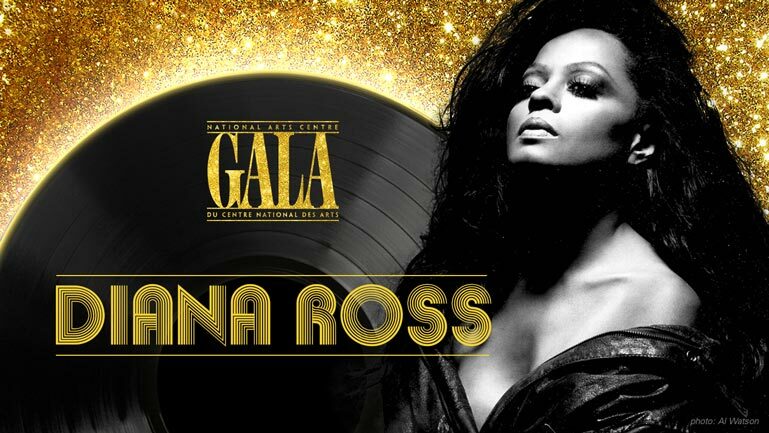 Join us for the once in a lifetime opportunity to experience living legend, Diana Ross performing live with the National Arts Centre Orchestra at the 22nd annual NAC Gala. Slip on your sequins and satin for this fundraising soirée, which starts with your walk down the red carpet to live music, performed by Montreal-based group Discothèque, followed by a pre-concert reception. Following the concert, there will be a glamorous VIP dinner in the newly unveiled Canada Room, where approximately 400 guests will be in attendance, including senior Parliamentarians, corporate leaders, arts stakeholders and other VIPs. As the signature fundraising event, the NAC Gala benefits the National Youth and Education Trust by providing much needed resources for the National Arts Centre’s youth and education programming. The funds raised support music education programs all across the country, masterclasses, online activities and youth programming for dance and theatre. The annual NAC Gala has raised over $13 million over the past 21 years to support the National Youth and Education Trust. Please join us on Saturday, April 27, 2019, for the 27th annual Governor General’s Performing Arts Awards. Attended by business, philanthropic, political and arts leaders from across the country, the evening begins with a Gala dinner for 600 guests, followed by a live tribute show featuring renowned Canadian and international artists in the National Arts Centre’s majestic Southam Hall.